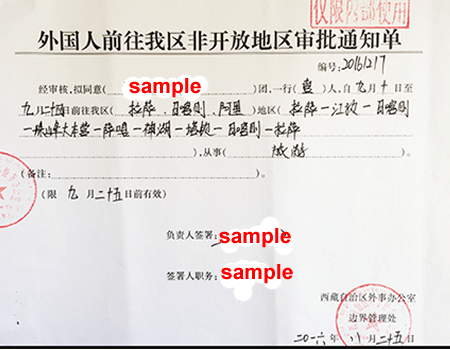 There are two kinds of permits issued for traveling in Tibet: the Tibet entry permit (TTB permit, equivalent of a visa for Tibet) and the Alien travel permit (PSB permit). Some people also call the Tibet travel permit as the Tibet visa, or Lhasa visa. 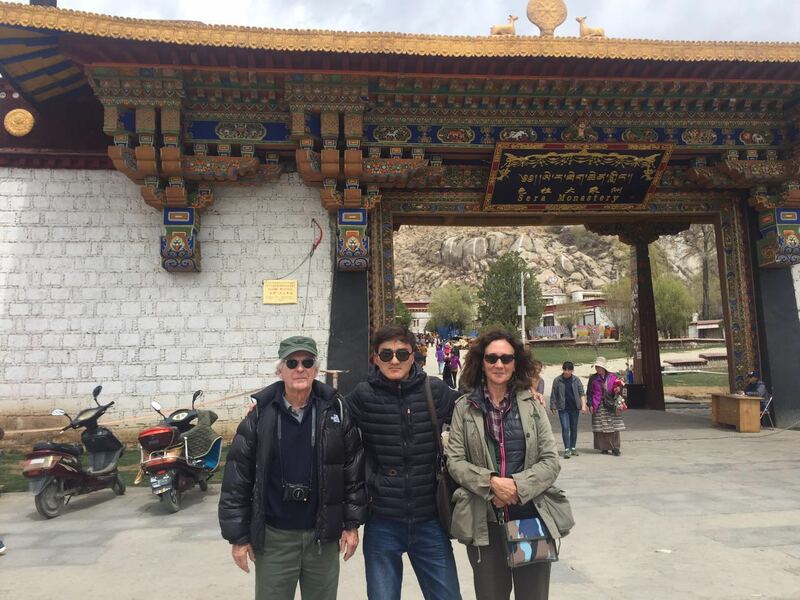 Access Tibet Tour provides both types of permit for the clients who book tours from us. 1. 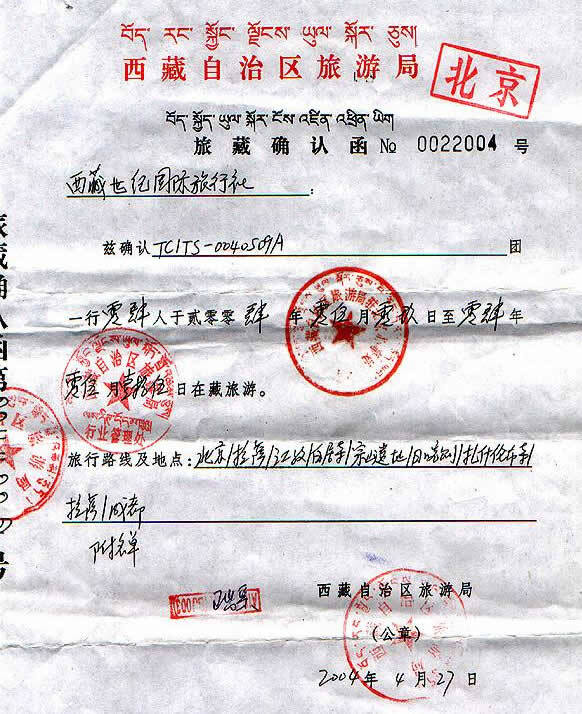 Tibet travel permits may be acquired through a travel agency, except by the following groups of people: diplomats, journalists, and government officials; People falling within these categories need to contact the Foreign Affairs Office of the Tibetan Government in order to arrange a permit. 2. 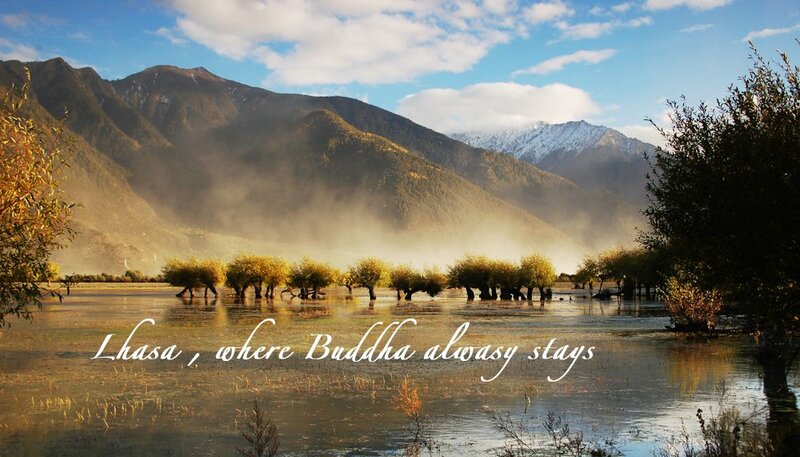 After you have got a Tibet travel permit, a travel agency can buy you the air tickets, and only with the permit in hand can you pass the airport check-in counter. 3. Once in Tibet, your tour guide is required to retain your permit. You may not carry it on your person, or travel within Tibet with it in your possession. 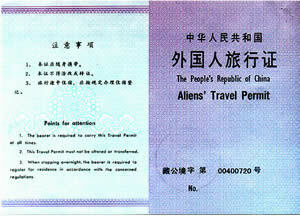 The Alien Travel Permit is required for travel outside of Lhasa. If you attempt to travel outside of Lhasa with only a Tibet entry permit and are stopped by the police, you will be sent out of Tibet, and could face legal difficulties. Furthermore, the travel agency which helped you acquire the permit could also face sanctions. Do not trust a travel agency that offers to sell you a Tibet travel permit without requiring you to book a tour. No legitimate travel agency will offer "permit-only" service. Avoid wasting your money, as this is almost certainly a scam. 4. 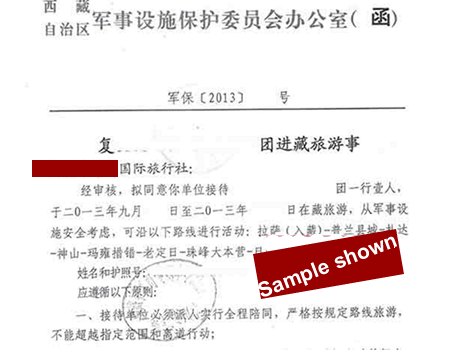 There is a service charge (imposed by the government) that must be paid in order to get a Tibet travel permit. 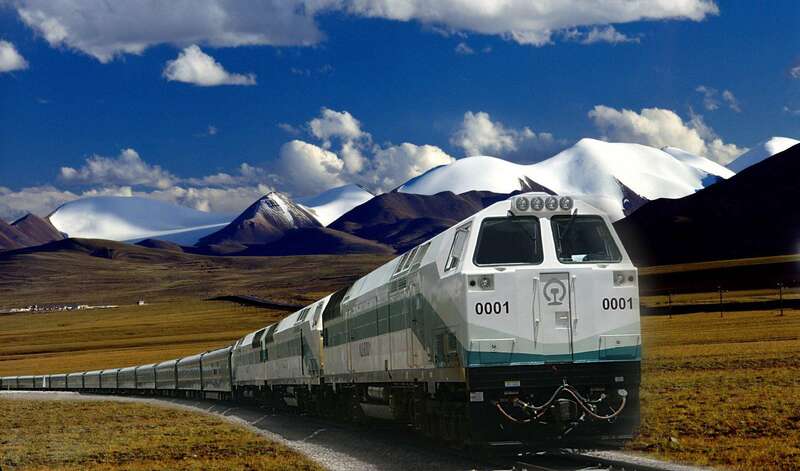 ATT will also charge a minimal fee for the time, paper work, and to reimburse the transportation and delivery fees involved in acquiring a Tibet travel permit. Question: How much does a Tibet permit cost? Answer: First of all, please note that we never SELL a permit. We only help you obtain a permit from the local authorities. As mentioned above, the cost of a permit includes the government charges and the ATT service fee. This cost will be included in your tour package quotation. Answer: Generally it takes three days to get the Tibet permit if you supply all of the necessary documents, and another 3 days (or more) to Express Deliver the permit. Tip: When applying for a Chinese visa, it is generally better not to mention Tibet. After you get your Chinese visa, a Tibet travel permit is easily obtained. Otherwise you will have to wait for your Tibet permit before getting your Chinese visa. Of course, there is always the slight risk that you might be refused entry to Tibet even if you get a Chinese visa first. In our experience, the TTB seldom refuses entry to tourists unless they belong to one of the categories of people mentioned above (diplomats, journalists, government officials). Tibet is under Chinese jurisdiction, so you are required to hold a valid Chinese visa (issued by a Chinese Embassy), as well as a valid passport.If you are coming to Lhasa from Kathmandu, it is advised to get a Chinese visa from Kathmandu (regardless of whether you already have a Chinese visa issued in your country) as a special administrative situation exists between China and Nepal. 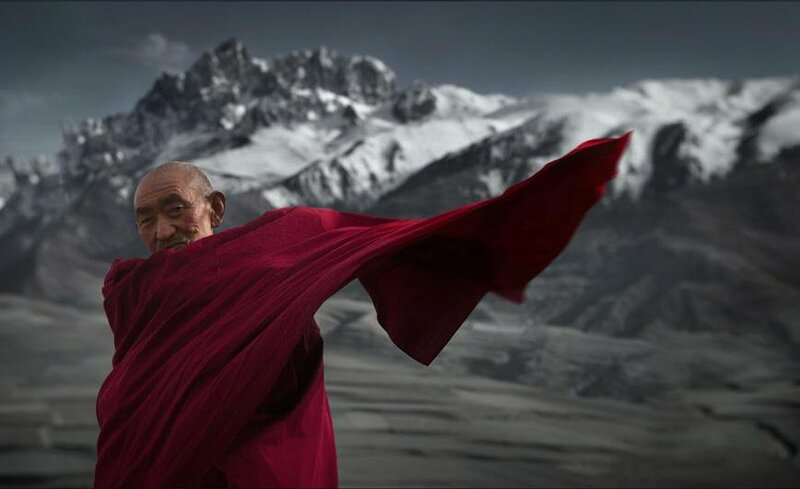 If you still have any questions about Tibet permit, please Contact Us!